LOADED Touring Model with HondaSensing Safety Suite.CARFAX One-Owner. Clean CARFAX. Crystal Black Pearl 2015 Honda CR-V Touring AWD CVT 2.4L I4 DOHC 16V i-VTEC AWD.Recent Arrival! 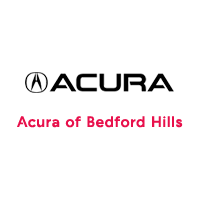 26/33 City/Highway MPGAwards:* Motor Trend Automobiles of the year* 2015 IIHS Top Safety Pick+ (With Touring Model)* 2015 KBB.com Brand Image AwardsReviews:* For young families or empty-nesters the 2015 Honda CR-V represents as good as it gets in the compact SUV segment - nice looks, thoughtful features, great ride and handling, class-leading safety, noteworthy fuel economy, terrific value. Where do you sign? Source: KBB.com* Exceptional fuel economy; abundant passenger and cargo room; nifty self-folding rear seats; appealing tech and safety features. Source: Edmunds* The Honda CR-V has a modern aerodynamic look, with sweeping lines, exciting body sculpting, and a dramatic profile. It has enough attitude and ability to get you around town and then tackle the open road and the great outdoors. The CR-V comes equipped with a 2.4-Liter i-VTEC 4-Cylinder engine with 185hp and a Continuously Variable Transmission. It has a rigid unit-body structure, coupled with taut suspension tuning, which give it impressive handling characteristics. For ultimate 4-season security, the CR-V is available with Honda's Real Time All-Wheel Drive with Intelligent Control System that smoothes out initial acceleration and can transfer up to 100% of torque to the rear wheels. The CR-V is very fuel-efficient and can get up to an EPA estimated 34 MPG Highway when in two-wheel drive. Hit the green ECON button, and the vehicle makes adjustments to its systems so they can be more efficient.